Note: Due to certain concerns, the subject of our post has been renamed and is not present in any of the photos. 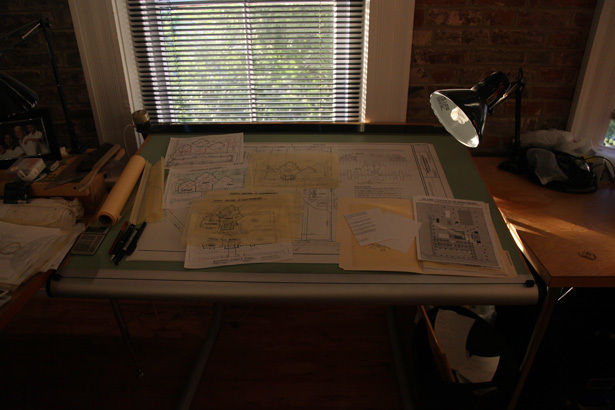 Instead, we present to you his workspace, blue prints and completed designs to help tell his compelling story. 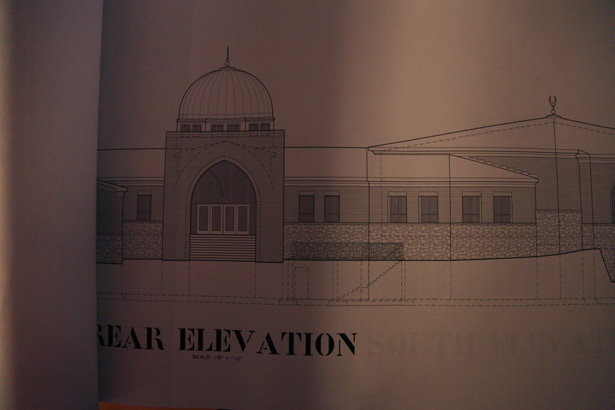 Right now, in the heart of Lexington, Kentucky a white man with a thick southern accent is designing a mosque. He is designing the walls, the arched windows, the domes, and the inevitable trouble that local community members will have with the space. This man is Brian and Brian is an architect. He runs his own small architecture firm in Lexington and works on whatever he pleases. “It was quite a way to get acclimated into the community.” Laughs Brian. Brian keeps thing light and easy. His sarcasm is dry and is realized only by his smirk. Today, he’s wearing a red polo and gray khakis, but admits that he likes to be more casual than this. On zonal hearings, where he’s been spending a lot of his time these days, he’ll wear a tie and suit. As one may assume, Brian has sat in one-two many zonal hearings where the neighbors of said mosque site will come out in numbers to either respectfully or venomously oppose the mosque construction. Brian prides himself in having a thick skin and encourages the Muslim congregnats to not show up. This example of hatred spewing happened in West Virginia, where the public hearing became contentious very quick. 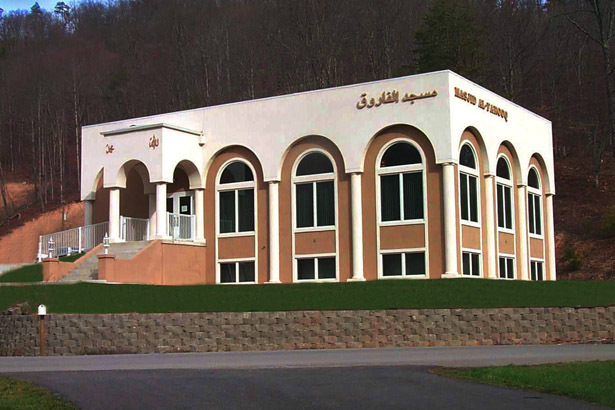 And soon enough, the West Virginia City Council approved the plans to build the mosque. Turns out the concerns of the public weren’t relevant, after all, it was about zonal hearing. Brian is thoughtful and considerate, he understands where a lot of the valid concerns come from. He grew up in Kentucky and has quite a few conservative folks in his family. Oddly, this gives him the edge he needs in these hearings to defend the community and the plans. “Masjids take years. I sometimes outlive my clients!” Brian says laughing. Brian has learned a lot from designing mosques. His first mosque project was in a rural town in Kentucky and he didn’t know what he was getting into. Not only did he just embrace Islam, but he also embraced a large community and its issues. “At the time there were less than 12 people in the community and they were building a mosque for 120 people.” Brian remembers. After the building was completed, he went back to the mosque and saw that the congregation had tripled. “I think minarets and chandeliers are beautiful, beautiful waste of money,” he says with his signature wit (poetry to my ears). Mosque development teams usually consist of those that are putting the majority of the money down – primarily rich doctors and uncles who understandably want a say in everything about the mosque. This sometimes makes the mosque development team an insular group of folks that are not representative of the congregants that attend the mosque. It’s also where you also get the unnecessary extravagances in the building. “Wait, why did it have to be connected?” I interrupt. Brian laughs it off. He does that with a lot of the ludicrous stories he shares. Another completed design by Brian in Somerset. Brian takes pride in designing mosques in the south. But challenging the extravagance or the mosque designs from the Muslim world isn’t the hardest part. The hardest part comes with the million dollar question that he now asks every building committee in their initial meetings. It’s a tough one. Brian has been trying hard to figure out what the most ideal space for woman is and he can’t seem to find a single answer. 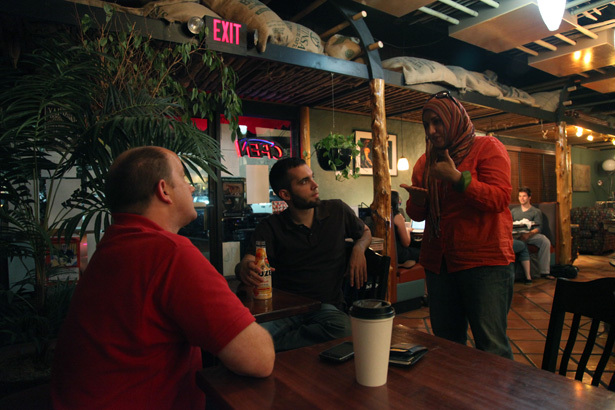 As we discuss this issue, a girl from the community shows up, Essma Amry, a Muslim interior designer. Brian stops her and asks her what she thinks. Brian poses smart questions. He is less concerned about this generation and is more concerned about his kids’. “We need to start building with our kids in mind. They won’t be who their parents were.” he says with confidence, “As far as I know, I’m what the future of what Muslim America looks like. Brian may come off as being overly critical about his work, but he is anything but. Like all of us, Brian loves his community and knows it can strive for something greater. 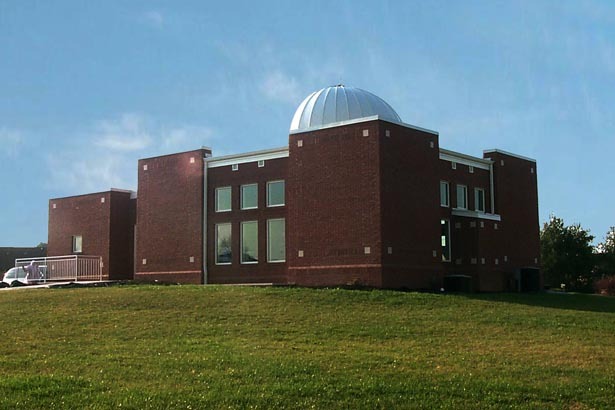 I turn the tables on Brian as he started going into theories of architecture and asked him point blank – so what does the ideal mosque in the US look like in Brian’s eyes? Brian told me about Shaker Town, Kentucky. Where the entire town was built with God consciousness. There was a specific way light hit the buildings and it evoked certain emotions and feelings that worked incredibly well with where it was. This guy is genius. I really like how he’s very forward thinking. We definitely need that attitude nowadays. Very refreshing to see people looking ahead and looking out for their sisters. May Allah reward Brian immensely. That’s a dope post and Brian raises some really good questions about the relevance of our structures (mosques) to the communities in which we live… and well done for raising the pertinent issue of women’s space in the masjid. I’ve also seen the veranda/balcony idea work really well in both London and Sudan. first of all: eid mubarak! and second, i loved this post, mA! the way this guy thinks and asks critical questions is truly beautiful. 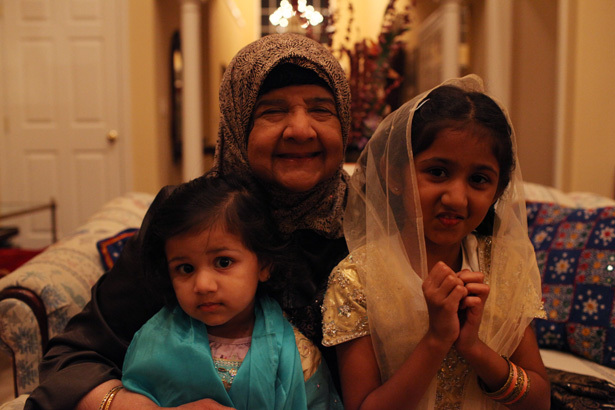 there is a shia mosque in houston that has the balcony set up for women, and i really enjoyed that when i went there. bassam: your writing has improved tremendously since we worked on your personal statement together several years ago! i’m going to be in dearborn tomorrow night as well – would be awesome to run into you :). regardless, i have been faithfully reading your blog everyday, and i am sososo impressed! your work truly shows the depth and diversity of islam’s presence in this country. may Allah reward you for your efforts. ameen. Great stuff! The form before function debate is timeless. The “where do we put the women?” conversation was fascinating. In this culture, equality of women is taken as a given by the younger generations. “Seperate but equal” facilities carry a real stigma in terms of civil rights. In this country, these practices will always be sort of a PR issue. An eye towards modernization might help with future acceptance. 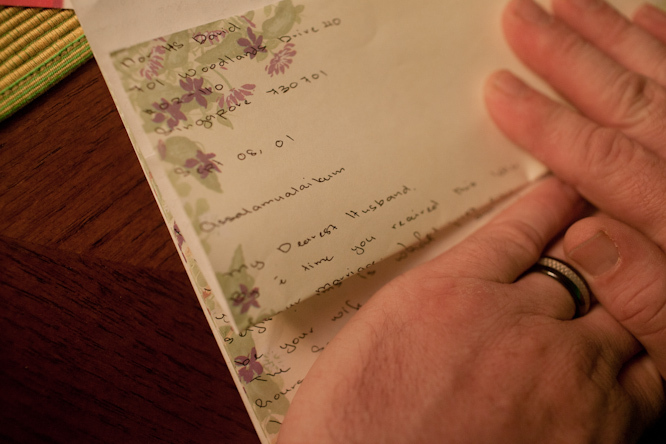 Most major religions have had to make serious changes to archaic practices. One thing is for sure, all religous structures are very resistant to change, so the time to start is now, as Brian says, for the next generation. I have been following your blog since you were featured on CNN.com and it has been a great read (I even told my mother about the post on the small mosque in North Dakota). I was kind of disappointed that you guys showed up in Cedar Rapids (near my town of Iowa City) the same weekend I was out of town visiting family, but that’s the way life works sometimes. As far as the designs and the extravagances that a lot of the mosque builders put into the mosques such as the minarets, that looks like a universal question. Christian churches for years have struggled between building grand palaces (my words) for the Lord and building working spaces that serve the community and leave money left over to devote to ministry in terms of outreach and service. I did love the photos of some of the mosques in this post, including the Somerset mosque, with its red brick exterior making it nearly blend in with the rest of the town (it kind of reminds of an old schoolhouse). Either way, thanks for the documenting of your journey, and maybe someday, our paths will cross. Take care, safe travels and God Bless! I’m very interested in cob buildings, that is, buildings made from a mixture of sand, straw and clay. This is often used in Iran and Iraq and other desert regions because it is warm in the winter and cool in the summer. As I understand, the point of a minaret isn’t for decoration so much as it is for cooling: the minaret is usually a tower away from the house and actually is connected to the dwelling via a tunnel that goes underground. Over the tunnel is a vegetable garden that is watered and then the air that comes down from the minaret goes through the cool tunnel and cools the house. 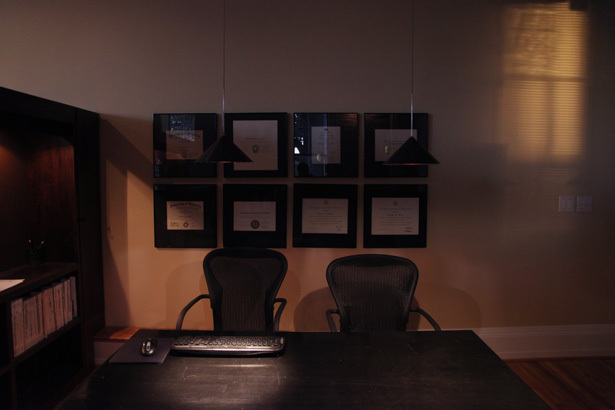 Here is a female architect at Harvard working on some amazing stuff. Her article was published recently. we am amazed that there are so many architects out there that really care about the future of Islam in America and Mosques. 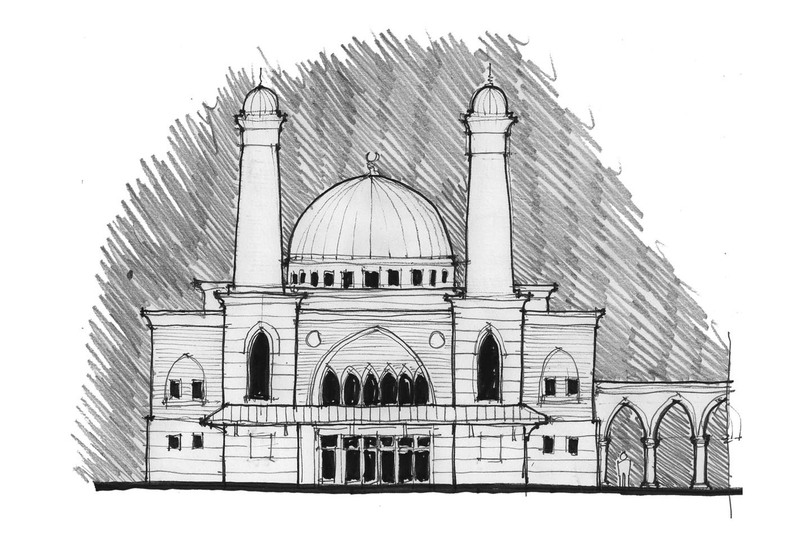 Would love to here Mosques in regards from a female Muslim architect… a rare breed. Great post, as usual, guys! I have really enjoyed your blog! I do have a question though- is there any significant reasoning as to how a site is chosen for building a mosque? I am having a debate with “friends” who say the sites are all chosen based on “victories won”….Please help me settle this!! Thanks! 1. Are they close or convenient to the congregation they serve? 2. Is the zoning conducive for religious assembly? 3. Is the land affordable? But mostly, it boils down to cost, as it is with almost any building. Contrary to what mosque opponents say, the vast majority of funding for most mosques in the USA is done locally by Muslim Americans living in the region in which the mosque is to be built. Most often, it’s a few individuals (or families) that donate the most – but that’s not unique to Islam either. Most mosques are under funded because they cannot (or choose to not) make up the difference with loans since Interest is discouraged in Islam. Nothing to do with conquest. Don’t believe the hype. MashAllah this is a guy after my own heart. Someone who actually is concerned about the sort of prayer space that women have in mosques. If only more people thought like that, especially people who are the decision makers in such projects. As a youn Muslim woman who in many ways represents the modern Muslim American generation of Islam today I see the importance of this sentiment. I don’t want feel like I am encroaching on a male space when I enter the masjid. I want to feel equally as men do that I too belong there and that I too should be there and space is a major incluencer in this sentiment. The sentiment of Muslims 10 and 20 plus hrs from now will probably be more so of this, as women continue to take a more active role in our religious and cultural communities. So yeah thank you for even thinking about that in your beautiful work and totally functional work. May Allah reward u for that. I am a Christian religion teacher in Australia. Part of my role is to teach about the beliefs and practices of other religions. I’m heading to America in the next couple of days and while I’d thought of Churches as part of my itinerary, I hadn’t thought about Mosques. I think that at very least I’ll be much more aware as I travel. Thank you for this blog. I’ll be bookmarking it to use with my students in future.